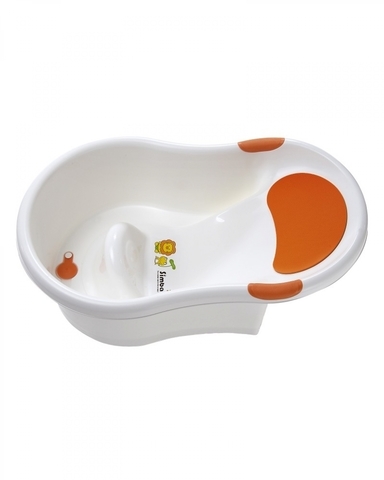 bottom and head when bathing. 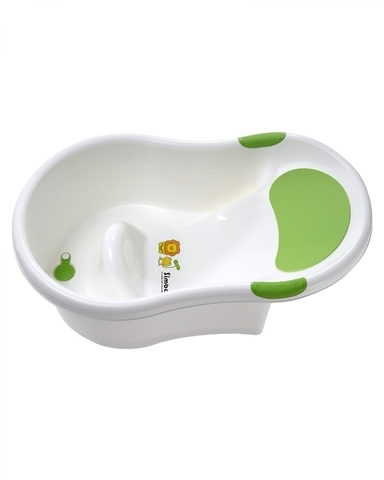 2.Ideal and convenient for new parents to wash the new born baby. 3.Slanting back design helps the parents to bath the baby easily. 4.Dual-side non-slippery handle design : Help the bathing baby to balance their body. 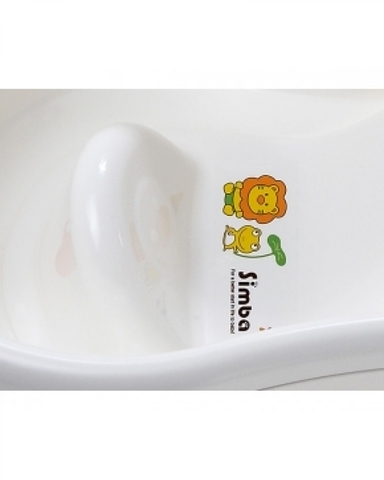 5.Soft anti-slip pillow design : enable baby to lie down safely & comfortably. 6.Baby stopper design : Hold the baby bottom to avoid accidental slippery. 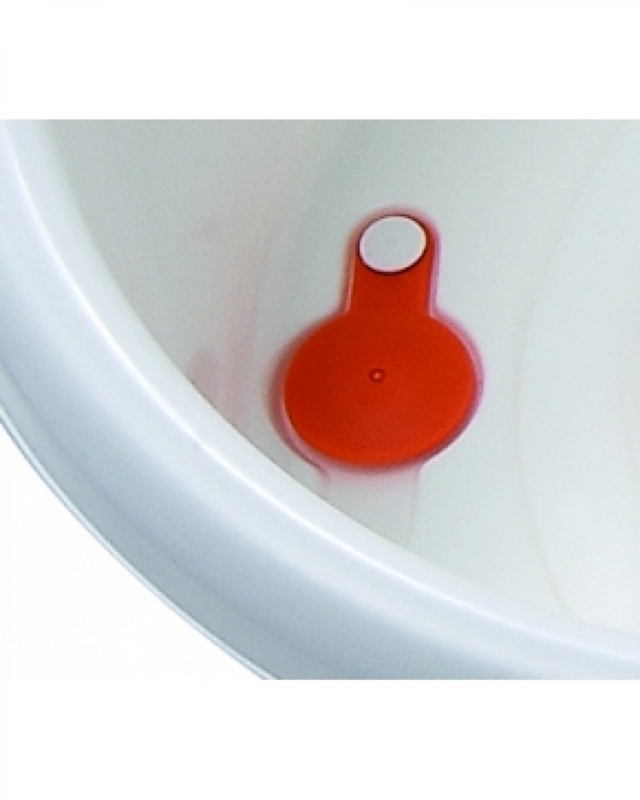 7.Attached water plug : Enable fast water release without accumulation of dirt. 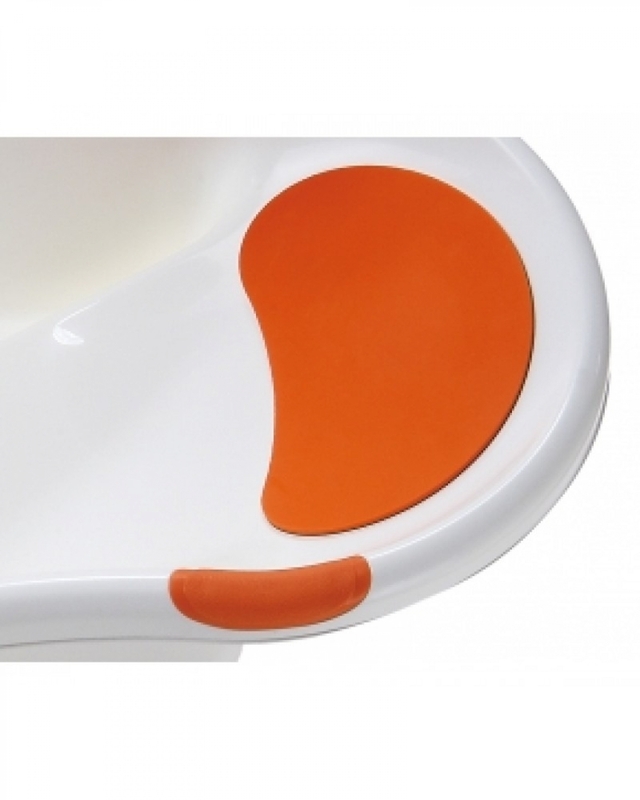 8.Special anti-slip stand design at the tub bottom.